4 Beds 3 Baths 1 Partial Bath 2,268 Sq. ft. Located in the Royal Lakes Subdivision, off Southside Blvd. where it intersects with Baymeadows, this 4 bedroom, 2 bath, waterfront home is conveniently located not only for shopping, but also for accessing either I-95, I-295 or Butler Blvd. (202) and is only a short distance from Town Center and some of Jacksonville's best shopping and most popular restaurants. 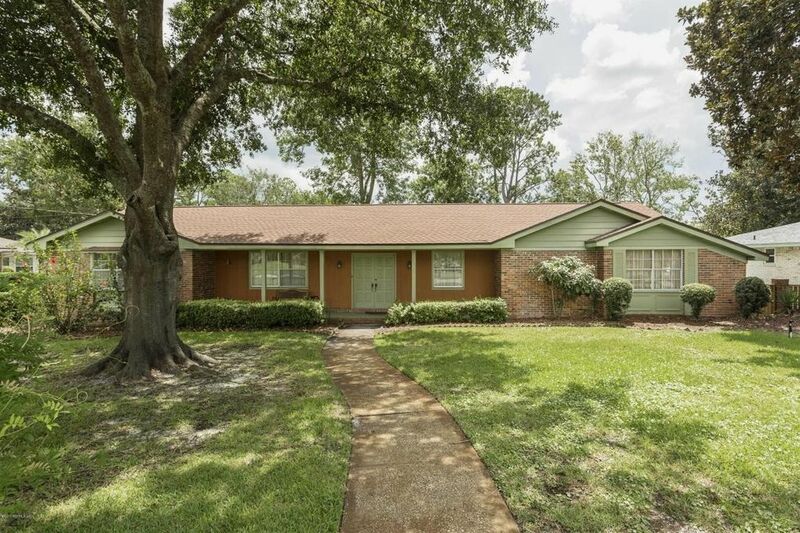 This full brick home is positioned on a gorgeous, large lake front lot, with large shade trees. You will enjoy a desirable floor plan that includes a formal dining room and a spacious den, featuring a mantle and built in shelves over a tile fireplace. A generous utility room conveniently adjoins the nicely appointed, updated kitchen. It is rare that a home becomes available in this extremely desirable subdivision at Royal Lakes. Directions: Royal Lakes Subdivision Is Near The Corner Of Baymeadows And Southside Blvd.